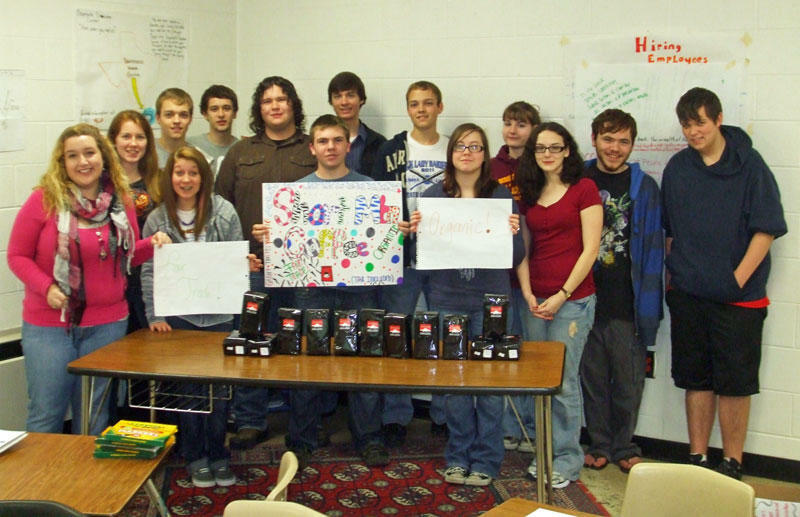 The entrepreneurship class of Cannon County High School will be selling Short Mountain Coffee. The coffee will be available in whole bean and ground. The coffee is organic and a product of fair trade. By buying coffee the customers help support the Stones River Watershed Association. A Facebook page is also available so one can access more information about Short Mountain Coffee. 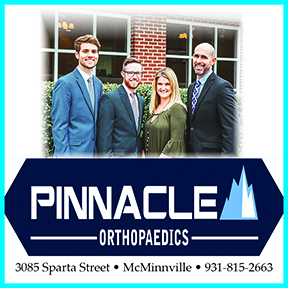 Pictured (left to right): Karly Gayle Pelham, Karisa Prater, Abbey Spry, Brent Duggin, Jordan Turney, Shane Davis, Wyatt Goff, Nick Baker, Brian Duggin, Roberta Hamm, Kayla Hale, Sarah Lindsey, Brent Champion, & Matthew Nipper. The coffee is $11 a pound, tax included. Seventy-five cents of that goes to the Stones River Watershed Association. The students' market is the Cannon County school system. Orders can be emailed to marcus.larson@ccstn.com or they can contact us on our Facebook page under Short Mountain Coffee.